I'm not going to call these French bread or baguettes, because they are neither. What they are, though, is good. 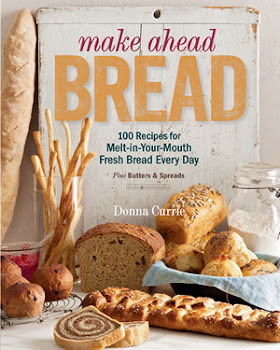 My secret weapon, semolina flour, adds a richness to the bread that I love. These are softer loaves. Still substantial, but also a bit airy. They're perfect for sandwiches - soft enough to bite into without breaking teeth or gouging the roof of your mouth with sharp crusty shards, but hearty enough to stand up to whatever fillings you choose. Or, you could slice them and serve them with your favorite pasta dish. Since these loaves are so airy, it's best to slash them about 20 minutes into the rise. You can slash them later if you're really confident, but it's a little tricky since the loaves are so soft by then. The soft dough also makes these tend to stick to the plastic wrap you use to cover them. A little flour sprinkled on top will solve that problem. Combine the water, yeast, sugar, and semolina flour in the bowl of your stand mixer and set aside until it's bubbly, about 10 minutes. Add the flour and knead with dough hook until the mixture is smooth, supple, and elastic. Add the salt and olive oil and continue kneading until both are incorporated. Flour your work surface and turn out the dough. Knead briefly, and form the dough into a ball. Drizzle it with a bit of olive oil to coat the surface, and return it to the bowl. Cover the bowl with plastic wrap and set aside to rise until doubled in size, about 50 minutes. Flour your work surface and sprinkle cornmeal on 2 baking sheets. Turn out the dough and divide it into 4 roughly equal pieces. Roll each piece into a log about 12 inches long. Place 2 logs on each baking sheet. They're look a little narrow, but they will grow impressively. Cover the dough with plastic wrap and set aside to rise for 20 minutes. Remove the plastic wrap. If it seems to be sticking, flour the surface a bit - rice flour is nice for this but regular flour is fine. Slash the loaves as desired, and cover them with plastic wrap again. Let rise for another 10 minutes. They should be doubled in size - maybe a little more. Bake at 350 degrees until golden brown, about 25 minutes, rotating the pans about halfway through the baking time. Let the loaves cool completely on a rack. These sound delicious! I love using semolina flour in breads. wow, this was the best sandwich/burger bread I've ever tasted!! Thank you so much for sharing the recipe. This is definitely a keeper!